Home / Dissent NewsWire / Are JTTFs Protecting Us Against Threats, or Threatening Our Civil Rights & Liberties? Since the 9/11 attacks, the United States government has poured money into counter-terrorism efforts. One place in which they have spent billions of dollars is the network of 119 Joint Terrorism Task Forces (JTTFs) located across the country. These local task forces are a part of the FBI, but include members of local law enforcement along with federal law enforcement and intelligence agencies. Supposedly the JTTF exists so that information can be shared between local law enforcement and the federal government more efficiently, but really it just exists so that local law enforcement does not have to follow the laws and protections that local governments have in place to protect their citizens. 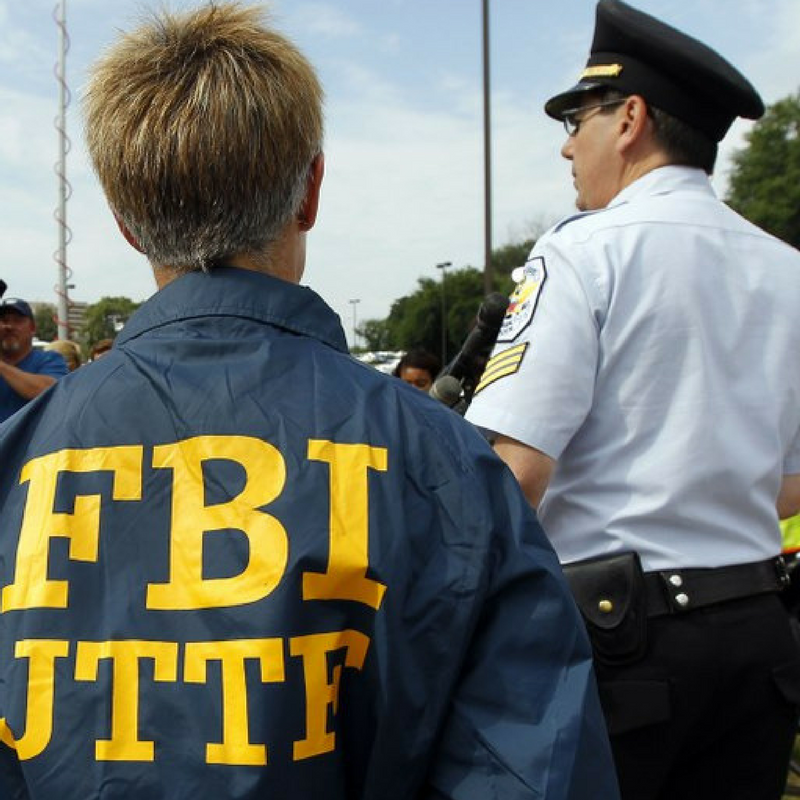 Any individual working as a member of the JTTF has the ability to forgo local law and follow the much more lenient FBI rules that allow agents to investigate anyone without and indication that they are engaged in wrongdoing. The Boston/New England JTTF presides over Massachusetts, Rhode Island, New Hampshire, and Maine. A JTTF Annex exists in Springfield. There are over ten satellite JTTF offices throughout the states listed above that report to the Boston/NE center. (These offices are in Lakeville, MA, Lowell, MA, Springfield, MA, Worcester, MA, Augusta, ME, Bangor, ME, Portland, ME, Bedford, NH, Portsmouth, NH, and Providence, RI.) While not an unusually large number of offices (in comparison to other regional JTTFs), it is important to note that Boston in particular has been framed “as an epicenter of terrorist attacks on the homeland” by the FBI. The FBI provides this frame as a sort of justification for all of the surveillance techniques, data collection, and resources being used in Boston specifically. Information regarding the Boston/New England JTTF that operates out of Boston is perhaps the most accessible. Thanks to several Freedom Of Information Act (FOIA) requests filed by the ACLU some documents are available to the public, including the contractual agreement between the Boston Police Department and the FBI, known as the Memorandum of Understanding. These Memorandum require local law enforcement to fund both training, travel expenses, and overtime payments that their officers may amass while working for the JTTF. These local law enforcements are paid for by local taxpayer dollars. Taxpayers are financing the government to invade their privacy and target their community members. Almost all local law enforcement agencies in Massachusetts have at least one agent assigned to the JTTF. The Boston Police Department has four as of 2013. According to the Amherst Police Chief, local law enforcement that does not have at least one JTTF member has a person within their ranks “with security clearance to work with the group if the need arises”. The degree to which a ‘need’ is defined is unclear. The JTTF also operates out of Boston Logan International Airport. As reported by the Massachusetts Port Authority, “idea of the office was first broached by the FBI to Massport and the Authority fully supported the effort.” Logan Airport has been seen as a national leader in security since the 9/11 attacks, and the presence of the JTTF onsite is a part of that effort. Yet there is little transparency about what the JTTF is actually accomplishing, or rather: preventing. Boston FBI Assistant Special Agent in Charge, Peter F. Kowenhoven, says that it’s “a success to [the FBI]” if they are able to intercept threats “without the public ever knowing”. While it may be a success to national security if the public is able to be blissfully ignorant of threats to their safety, that also makes it easy for the government to hide just how ineffective or wasteful the JTTF is. The public has no idea if the JTTF is a worthwhile place for resources to be put. The JTTF has been framed as a necessary component of security when that fails to be proven true. These surveillance efforts exist to deconstruct our ability to exercise our civil liberties disguised as promises of protection. The JTTF asks the public to blindly believe that the government will always allocate its resources responsibly and protect its citizens. Without any transparency on the part of the JTTF about its successes, it’s hard to prove any amount of success or failure on the part of the government to fulfill its promises. The 2013 Boston Bombing goes to show that surveillance, collaboration, and data collection cannot stop a terrorist attack. Or at least, the surveillance, collaboration, and data collection by the JTTF cannot stop a terrorist attack. While the knee-jerk reaction to the attack is that counter-terrorism efforts are even more justified now, the bombing proves that even with over ten years of efforts, these acts of terrorism are not going to be prevented. Acts of terrorism are being committed under the JTTF’s watch, yet the JTTF continues to spend time and money investigating activist groups and individuals with minority identities. Perhaps these attacks would be prevented if the JTTF was appropriately utilizing its resources.